Hi Neighbors! MANA has signed up for this year's "Keep Dekalb Beautiful Neighborhood Cleanup Day" which takes place Saturday, April 26 from 9AM to 1 PM. We'd love to have more folks participate this year! 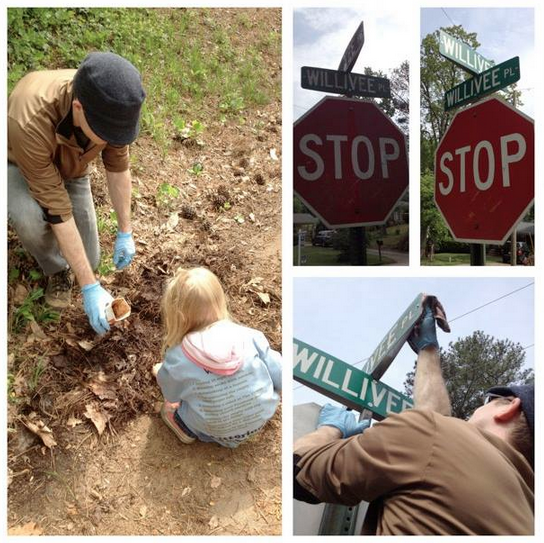 My fam did curb & sign cleaning here on Willivee Place last year and it was pretty amazing what a big difference a few hours made. If we all share ideas for areas in the neighborhood that need some extra TLC we can round up small groups to tackle some of the bigger stuff together. So please post ideas here and we'll help coordinate. The County provides free t-shirts and all the necessary cleanup materials; MANA provides refreshments & coffee at ICS before everyone heads out to their respective projects.